It is said laughter is the best medicine. And although it is not a cure for major depression, according to the Mayo Clinic website, laughter can improve your mood, relieve stress and pain, and increase personal satisfaction while stimulating your heart, lungs and muscles and improving your immune system. Not bad for a couple of knock-knock jokes! Children laugh an average of 400 times a day while adults laugh just 25 times. Have you found you inner child and laughed today? If you haven’t here is a joke that will hopefully at least make you smile. It plays on a common stereotype but turns it upside down showing how clever an old codger can be. A police car pulls up in front of grandma Bessie's house, and Grandpa Morris gets out. The polite policeman explained that this elderly gentleman said that he was lost in the park and couldn't find his way home. "Oh Morris", said grandma, "You've been going to that park for over 30 years! How could you get lost?" Leaning close to grandma, so that the policeman couldn't hear, Morris whispered, "I wasn't lost. I was just too tired to walk home." For the second in the series of 1 ½ hour Creative Arts classes, Debra Jones recruited "Master Gardener” Lynn Jones, the Lawn & Garden Manager from True Value, to teach the class on November 4th using Spring Bulbs. You will have fun using your imagination to make a one-of-a-kind gift you can take home. All the supplies will be provided for a cost of only $2.00 per person, but the class is limited to only 10 people. Call the Center to sign up. If you haven’t already, you should stop by the Center to see the new tables purchased for Meals-on-Wheels though the dogged efforts of Donnamae Grannemann and friends. It gives the dining room a more open café feel, although many of us are still having to adjust. And if you don’t visit the Center for lunch before the 11th, you should drop in on Veterans Day for a free dinner provided by Meals-on-Wheels for everyone over 60 in honor of our Veterans. The dinner will include turkey and dressing, green bean casserole, buttered roll, carrot salad and pumpkin pie. And speaking of music. Nehemiah Brown will be making his last appearance at the Center for 2014 on Friday, November 7th. He’ll perform from 7:00 to 9:00 and the cost is $3.00 per person. This week’s “Remember When” question is not about a place in The Dalles, but a time. 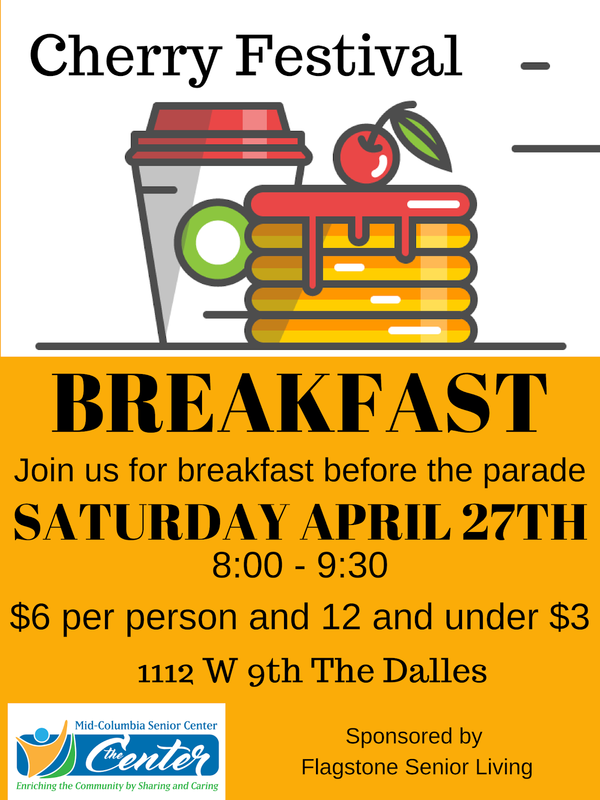 During what year, and month if you can remember, was the lowest recorded temperature in The Dalles? And for bonus points include any memories from that record cold winter. E-mail your answer to mcseniorcenter@gmail.com, call 541-296-4788 or drop it off with a hooded thermal mountain jacket. Well, it’s been another week learning to skate on thin ice with a fifty pound backpack. Until we meet again, as the famous sage “”anonymous” once said "Falling short of perfection is a process that just never stops." October is Depression Awareness month. But writing about depression, is just, well, kind of depressing. It not a subject you mention when you want to liven up a conversation. But it doesn’t have to be because depression can be treated. And with the right supports, treatment, and self-help strategies, one can feel better and live a happy and fulfilling life. The challenge is that depression is often misunderstood, overlooked or just ignored. Many older adults feel depression is just an inevitable part of aging. And with a reluctance to talk about it, and the greater social isolation that often occurs with aging, it frequently goes unnoticed. I always thought depression was easy to identify. It was just a severe case of the “blues”, a sadness we all experience at times in our lives. But many older adults who suffer from depression deny they are sad. Instead their symptoms may be unexplained aches and pains, feelings of hopelessness/helplessness, memory problems, anxiety and worries. They may also exhibit a lack of motivation and energy, no longer interested in socializing and hobbies; and neglecting personal care such as missing meals and forgetting meds - which just makes things worse. And unlike grief, which has its ups and downs, good days and bad, clinical depression has feelings of emptiness and despair that are constant. The causes of depression are many. But for older adults common triggers are chronic medical conditions, loss of loved ones and friends, loneliness and isolation, the side effects of commonly prescribed prescription drugs, decreased ability to participate in activities, and the fear of death. Professional help is recommended, but there are also many ways you can help yourself: exercising, connecting with others, managing the daily stress and pressures, getting enough sleep, eating well, participating in activities you enjoy, volunteering your time, taking care of a pet, and learning a new skill. Things we should all be doing anyway – except maybe taking care of a pet! Depression is serious and affects more than just your mood. It affects your energy, your sleep, appetite and your physical health. But it doesn’t have to be that way. With the appropriate help you can feel good at any age. If you want to learn more, you can attend the Center’s 11:00 Tuesday Lecture on October 28th when Mary E. Zenorini, a MCMC Behavioral Health Consultant, will discuss Depression in Older Adults. Or visit online Helpguide.org, an ad-free health resource guide in collaboration with Harvard Health Publications. For the Fall/Winter Creative Arts classes, Debra Jones has lined up another great series of 1 ½ hour classes, each with a different theme. In the first class at 1:00 on Tuesday, October 28th, you will be decorating a straw wreath with Halloween ribbons, wrapped candy and decorations. All the supplies are provided and the cost is $2.00 - but limited to only 8 people. The classes usually fill up quickly, so call the Center soon to sign up. If you enjoy the music of Patsy Cline you will want to spend your evening at The Dalles - Wasco County Public Library on Thursday 23rd starting at 6:30 PM to hear southwest Washington’s own Elizabeth Stierle performing a tribute to Patsy Cline. And there is more music at the Center. On Tuesday the 28th, you can listen and dance to the Highline Express starting at 7:00 PM. And earlier in the day, before and after the Meals-on-Wheels lunch at the Center, you can listen to Andre Lemoreaux and K.C. Kortge. For the next several “Remember When” questions, I’ll be asking about places in The Dalles that are long gone, but not forgotten. 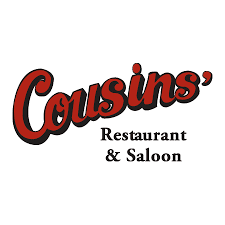 This one comes from Truman Boler who heard that when Claude Akins was on the Johnny Carson’s Tonight Show he mentioned he had visited The Dalles while filming along the Rowena Loops and never before had he eaten at a restaurant/lounge that had an Irish name, served Chinese food and played country music. What was the name of the restaurant/lounge? E-mail your answer to mcseniorcenter@gmail.com, call 541-296-4788 or drop it off at the Center in a fortune cookie. Well, it’s been another week learning once again when you gotta go, you gotta go. Until we meet again, never burn a bridge - you may find it’s the only way back home. It’s that special time of the year. No, I don’t mean college football and falling leaves. I’m talking about the Medicare Open Enrollment period when you have the opportunity to decide if your Medicare plan is still the best plan to meet your medical needs for next year. You should have received and read the “Annual Notice of Change” from your current Medicare plan describing any changes for next year. Then as part of your annual review, you should ask three important questions. Does your plan allow you to go to the providers you want, such as your doctor or pharmacy? Are your prescription drugs covered? And is the plan cost effective? If you have a Medicare Advantage plan, particularly consider the latter question, because for some 2015 Advantage Plans the monthly premium has increased substantially. But the increases may be worth it – or not, and that is the choice you make. There are several ways to compare plans. You can visit Medicare.gov/find-a-plan and use the Medicare Plan Finder, read the “Medicare & You” handbook to see a listing of plans in your county, or call 1-800-MEDICARE (1-800-633-4227) where help is available 24 hours a day, including weekends. If you would rather talk to someone in person, you can call the Center and schedule an appointment with a trained SHIBA (Senior Health Insurance Benefits Assistance) volunteer. Make sure you use this opportunity to compare plans and choose the best one for your needs. You don’t want to be unpleasantly surprised in 2015. I apologize to everyone who came to the Center for their flu shot last Wednesday. But the good news is that the flu shot clinic has been rescheduled for Wednesday October 15th from 10:00 to 2:00 - just in time for the beginning of the flu season. There will be plenty of the higher-dose vaccine that is recommended for adults over 65. As we age, our immune system weakens, and the higher-dose vaccine contains a larger dose of antigen which for many older adults provides a better immune response, and therefore, better protection against the flu. The flu should be taken seriously by older adults and your best protection is a flu shot. If you haven’t already received your flu shot, the Center is an easy and convenient location so you can be protected for the upcoming flu season. Because the AARP Smart Driver Class is upstairs and Zumba Gold downstairs, there will not be Tuesday Lecture on the 21st. But on October 28th, Mary E. Zenorini, a Behavioral Health Consultant with MCMC, will speak about Depression in Older Adults. Besides the Center’s Tuesday Night Music and Dance (Truman will be playing his Country Gold starting at 7:00 on October 21st), the Meals-on-Wheels folks have scheduled music before and after lunch, four times a month. On the first and third Thursdays, the popular Tom Graff performs, and then on the second and fourth Tuesdays, music is provided by Andre Lemoreaux. When’s the last time you took a driver’s test? Can you imagine anything has changed since then? If so, you will want to call the Center and sign up for the October AARP Smart Driver class where you will learn the current rules of the road, defensive driving skills and how to adjust to the inevitable physical changes as we age. And for the cost conscious, you can receive a discount on your car insurance. The next class is on October 20th and 21st from 9:00 – 12:00. The cost is $20 and $15 for AARP members. For the last several “Remember When” questions, I have used quotes from movies and television, songs and celebrities, and the art world. Now this week it is the world of political intrigue. During the 50’s the fear of communism was pervasive - even reaching into the U.S. Army. What U.S. Senator, who in 1952 became chair of the Senate Committee on Government Operations, was asked during the 1954 Army hearings televised live on ABC “Have you left no sense of decency?” E-mail your answer to mcseniorcenter@gmail.com, call 541-296-4788 or send it with a 1954 picture of Massachusetts attorney Joseph Welch. Well, it’s been another week enjoying the ride even with all the random bumps and bruises. Until we meet again, remember the lessons learned from the mistakes forgotten. Lily Tomlin said, “Reality is the leading cause of stress - among those in touch with it.” And for those of us who have stayed in touch, we have experienced the various stresses in all chapters of our lives: in school worrying about exams and first dates, during mid-life while encountering family and work decisions; and now in this, our third chapter, worrying about personal health issues, caring for loved ones and facing the ultimate reality of death. According to Doctor Mike Evans, the causes of stress are complex, with significant harmful consequences. But the current research suggests the most effective treatment to manage stress is changing your thinking style. He explains that stress doesn’t just happen to us, it passes through our brain. And our brain - that space between the action we experience and our response to what happens - is where we create the stress. In other words, it is our thinking that brings the stress. This idea is embodied in the 90/10 rule. Ten percent of how we do in life is based on what happens to us, but ninety percent is how we respond. And we have the ability to manage that ninety percent. In the video, Dr. Evans explains in more detail how stress management can be learned through different techniques such as problem solving, avoiding thinking traps and reframing automatic thinking to healthier thinking patterns. In particular, he points out the effectiveness of mindfulness training which combines an increased self-awareness, breathing techniques, meditation and letting go of distractions - being in the moment. We don’t live in a make believe Shangri-La. Consequently, reality will always offer us many challenges. But how we experience and respond to those challenges are the key to managing our stress. As the famous American psychologist William James pointed out, the greatest weapon against stress is our ability to choose one thought over another. Thanks to everyone who attended the 4th Annual Baby Back Rib dinner that raised close to $7,000 for The Dalles Meals-on-Wheels and the Senior Center. 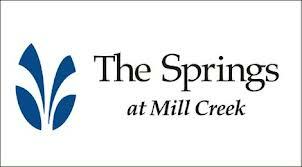 And to everyone who made it possible: Donna Cooper and her staff at The Springs of Mill Creek – sponsors of the dinner, Meals-on-Wheels director Nise Patton and crew for preparing the delicious ribs, Ashley Lauterbach for organizing the Silent Auction and Raffle, Hardshell Harmony for providing the perfect music for a perfect evening and all the wonderful volunteer ticket-takers, waitresses and table-clearers (busboys just doesn’t sound right!) including two of our Wasco County Commissioners - Steve Kramer and Rod Runyon. And now, let me be the first to invite you to the 5th Annual Baby Back Rib Dinner on the first Friday in October, 2015. I know many of you have already received your Flu shots, but if you haven’t yet, and you know you should, Flu shots will be conveniently available at the center on Wednesday, October 8th, from 10:00 – 2:00. The shots will be provided by Rite-Aid and they will have the regular strength, as well as the extra strength flu vaccine that is recommended for adults over 65. For the Center’s 11:00 Tuesday Lecture on October 14th, I will show the video “The Mechanics of Aging” produced for the PBS television series “Life part 2”, followed by a discussion about how our bodies are not as cooperative as they once were and what we can do about it. For the Center’s Tuesday Night Music starting at 7:00 on October 14th, Martin and Friends will be performing. All ages are welcome and donations are appreciated. For this week’s “Remember When” question, I’m just going to give a quote with no other hints or clues - to make it a little more challenging. When asked what she wore to bed, what movie star (okay, one hint) answered “Why, Chanel No.5, of course”? E-mail your answer to mcseniorcenter@gmail.com, call 541-296-4788 or send it with a recording of “Happy Birthday, Mr. President”. Well, it’s been another week jumping from the frying pan to the skillet. Until we meet again, keep singing your song - even if no one listens.